America’s only mass produced, mid-engined two-seater was built from 1984 to 1988 and arose out of the Pontiac division’s desire to have a sporty image car in the lineup. The car that appeared in dealer showrooms in 1984, however, was substantially different from the car originally envisioned by its designers. The gas crisis and economic landscape of the early 1980s influenced GM brass to introduce the Fiero as a commuter vehicle with Chevrolet parts bin suspension pieces, even though a proprietary suspension had already been developed for the car. The Fiero also received the 2.5-liter, 92-hp I-4 “Iron Duke” motor, which also distanced the car from its initial aspirations. In spite of these last minute departures, the car received mostly positive reviews in the press for its handling, comfort, and build quality, as well as for its unique construction technique that included its patented “Enduraflex” body panels. Some 1984 cars famously had issues with engine fires that were quickly addressed under warranty by Pontiac dealers. Despite the mostly positive reviews, one complaint road testers did lodge was that the Fiero needed more power if it were to be viewed as a real sports car. Pontiac responded in 1985 when a 135-hp 2.8-liter V-6 was made available in SE and new-for-1985 GT trims. In addition to the uprated mill, the GT also had more aggressive bodywork that included body sills, a different nose, and an optional rear spoiler. A new fastback roof was introduced on the GT for 1986 (with this the previous year’s notchback GT become known as the SE), and a Muncie-Getrag five-speed transaxle became the new manual gearbox for 1987 on V-6 equipped cars. In 1988 a Formula model was added to the lineup that combined the base notchback body style with GT mechanicals, but the really big news was that all 1988 cars finally received the suspension pieces that had been designed for the car upon its introduction back in 1984. 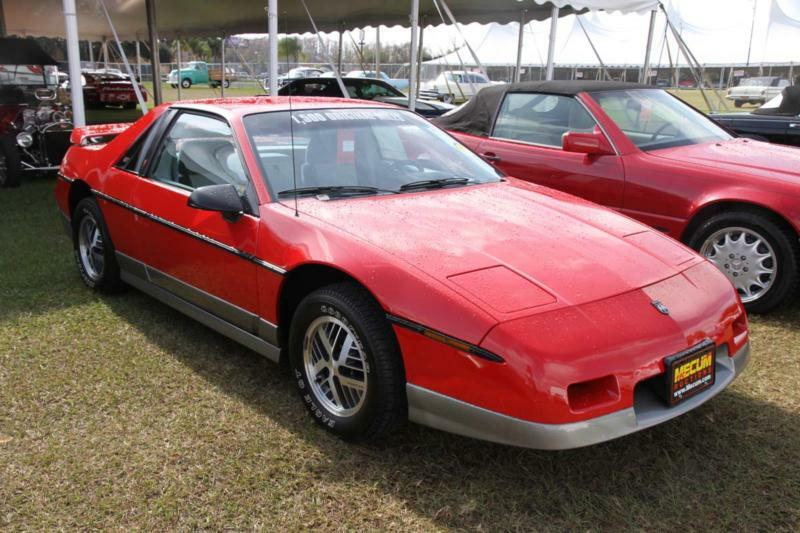 Even though the Fiero had finally become the car it was originally meant to be, GM decided to kill it at the end of the 1988 model year, citing declining sales as the reason. Collectors today gravitate towards the V-6 cars, and the 1988 models in particular due to their upgraded suspension. The Indy Pace Car replicas that were built in 1984, all of which were white with the same bodywork that would become standard on the GT in 1985, are also on the short list for Pontiac Fiero enthusiasts.